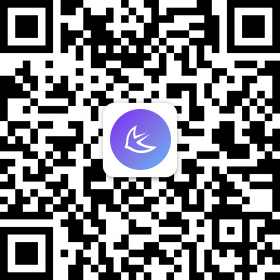 Qilin Hesheng Network Technology Co., Ltd.
APUS has provided game promotion services for a few game products from 2015 to 2018, and some game products were released via our developer account. In view of the iteration of the products promotion and the adjustment of the corresponding policies, APUS has terminated the promotion and cooperation of some cooperative game products. 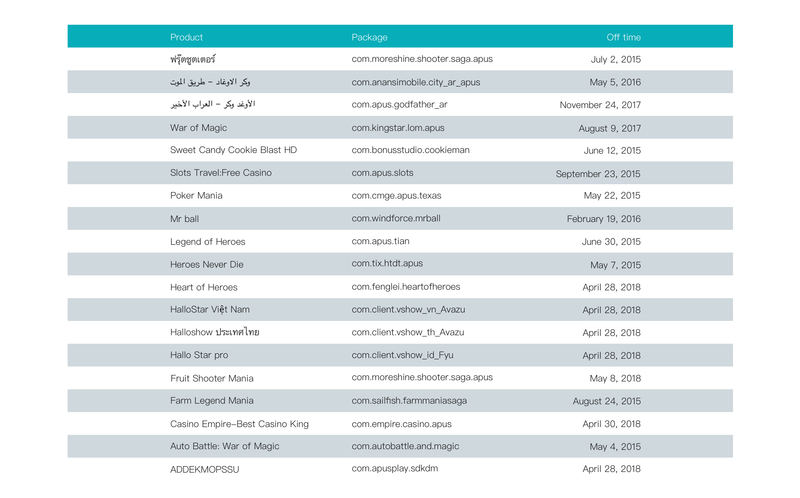 This announcement is a notice of terminating cooperation for the following products because of the inability to contact the respective game developers. In the promotion and cooperation, APUS only provides promotion service, and does not have any act of obtaining and processing user privacy and personal data. If any of the following products have any legal issues concerning user data collection and processing, please contact the official contact information of the product directly for any further processing, APUS will not bear any responsibility. © 2014-2018 APUS Group. All Rights Reserved.